Project Estimation and PERT (Part 7): The expected duration of your project is 48 days and standard deviation is 4 days. Your management wants to know the project duration estimate with a 95% confidence level. What estimate would you give them? I’m not going to answer this question just yet. In fact, I’m going to challenge you to solve it. We have gone through the theory and now is the time for some exam practice. 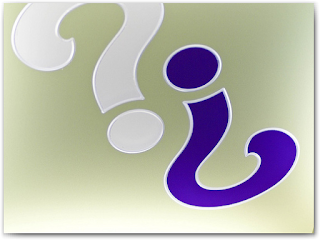 Today we are going to try something new - sample questions - which we haven’t done before on this site. Yes, sample questions in the form of a quiz. You can even win cool PM Prep Flashcards and other prizes for doing well on the quiz. Take the quiz as many times as you want. Participation in the contest is optional. The correct answers, detailed explanations and results (along with participant's name and location) will be posted online after the contest is over. The first 3 participants to answer all 10 questions correctly will win PM Prep Flashcards Premium account (worth $19.99), and additional discount vouchers. Next 10 top scoring participants will get discount vouchers for PM Prepcast, PM Prep Flashcards, and more. The winners will be notified via email. Enter a valid email address only if you wish to participate in the contest. Leave it blank otherwise (I hate SPAM myself, and respect your privacy). Contest ends on August 14, 2010 (midnight, US PDT). The contest is now closed, but you are free to take the quiz. The answers have been posted in the article Standard Deviation and Project Duration Estimates. Congratulations to Sunitha (Bangalore, Karnataka, India) for winning the PM Prep Flashcards and to the next ten top scorers for winning discount vouchers. The instructions to claim the prizes will be sent to the winners via email. I'll try to post more such quizzes in future. Thanks for your participation. I researched a lot of online quiz services and finally settled on Google Forms, primarily because of 2 reasons - it has the least restrictions and is (of course) free. Google Forms is more suited for surveys, and not quizzes. But I’ve modified the survey to emulate a quiz program with a self-grading feature. If you like my first attempt at quizzes, and want me to do more of it, let me know. Thanks for your comment. I'm not sure whether you are asking a question or making a statement. Either way, I'll reserve my comments for now and let other readers respond to your comments. Feel free to discuss the questions here. I'll be a silent observer. I'll see how participants score on the exam over the next few days. If the scores are not moving up, I'll consider posting some hints. After the contest ends, I'll post detailed explanations and also address the comments posted here. hey! Miss Sunitha from Bangalore, who cracked all questions! congrats! are you a PMP? The page looks fine on my screen and people are taking the quiz almost everyday. I suspect that it's a problem with your browser blocking out iframes. Send me some screenshots at harwinder at deepfriedbrainproject dot com so that I can help troubleshoot the problem. For the answers, look at point 2 under the "Contest Result" section above. Can somebody give me the answer of questions 6, 7 and 8 and why there are correct. The link to the answers and explanations is already posted above. If you have specific doubts, then please let me know. The PMP exam simulator version of this quiz is now available in BrainBOK . Good Test where can i see the ans. Mohit, the link is posted in the article above (second bullet under Contest Results section). I am not able to see PERT quiz answer after submitting it showing excel link please provide answers. Nice article and quiz, helped understanding this topic alot. Your are welcome, Viveksingh. Thanks for your feedback. Harwinder- Thanks for such a beautiful content! Somehow i could not see the questions. Where will i be able to see questions on PERT? There was a problem with the link to the Google form used for the quiz. I have fixed it and now it’s showing up fine. Thank you, Nafees. Glad it’s still relevant 8 years later.